The black cohosh (Actaea racemosa), also known as black snakeroot, is a perennial flowering plant native to North America, mainly the eastern United States and Canada. Apart from being responsible for its more common name, the black roots of this plant have rich history of medicinal use by Native American tribes, and subsequent early American colonists. Black cohosh has served as a natural treatment for everything from kidney issues to snake bites, but it’s most famous application is as an herbal remedy for menstrual cramps and menopause symptoms. As a result of this combination of nutrients, black cohosh is said to possess mild sedative, anti-inflammatory, diaphoretic, anti-fungal, analgesic, and antibacterial properties. As was previously mentioned, the most famous use of black cohosh is for menstrual cramps and symptoms of menopause. Black cohosh can act as a natural hormone replacement and increase low estrogen levels, most likely due to the presence of phytoestrogen. Black cohosh is also believed to help the muscle relax, easing the tension associated with menstrual cramps. Moreover, black cohosh can stimulate menstrual flow to decrease the risk of irregular menstruation. 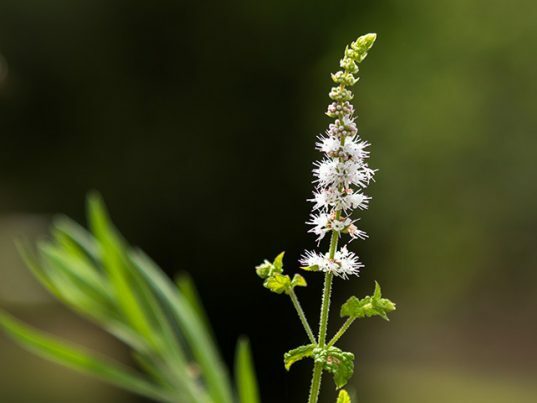 In addition to menstrual cramps, black cohosh can provide relief from the spasmodic pain of muscle strain and nerve tension thanks to its natural analgesic properties. Black cohosh has anti-inflammatory effects that can reduce the inflammation and joint pain of arthritis. By increasing regular bowel movement and boosting the function of nutrient absorption, black cohosh can keep the digestive system healthy. A common way to consume black cohosh is as a tea. To make black cohosh tea, simply boil one tablespoon of dried black cohosh root in a cup of water and allow it to steep for three minutes. This tea can be sweetened with honey. Two to three cups a day for a few months will do. Black cohosh can be purchased in capsule and liquid extract form as well. Note: although healthy, black cohosh can have numerous side effects when taken over prolonged periods of time. These include headaches, nausea, vaginal bleeding, and drops in blood pressure. Black cohosh can ease the symptoms of menstrual cramps, menopause, arthritis, and spasmodic pains. In addition, black cohosh can help strengthen the digestive system. However, too much black cohosh over a long period of time can have detrimental health effects.